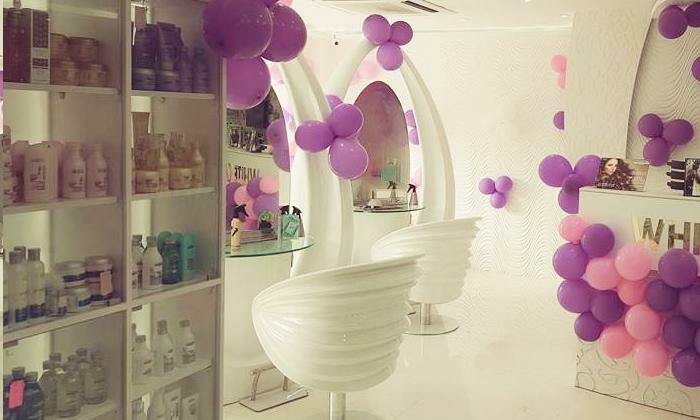 White Catalogue Beauty Lounge & Spalon is a chic and modern salon located in Vastrapur. The salon offers a range of hair and skin care services to both men and women. The ambiance of the salon is serene with stark white floor, walls and furniture and is complimented by soft yellow lighting. The beauticians and stylists here are experts and give individual attention to each client, making sure they are happy with the results. So take time off to pamper yourself with a new haircut or a relaxing manicure-pedicure in a friendly environment and feel refreshed!